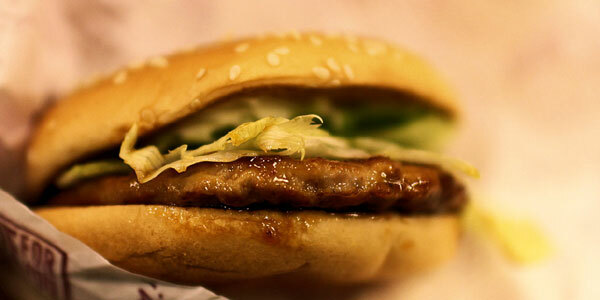 Dr Grub » What’s wrong with McDonald’s burgers? What’s wrong with McDonald’s burgers? Without going into any political or philosophical discussions, let’s explore a simple question, why McDonald’s burgers simply don’t taste good? McDonald’s uses corn-fed American beef with a small percentage of grass-fed imported beef from Australia and New Zealand. Burgers are made of 100% beef that are normal, mass produced, mass distributed, and mass consumed. Everyone else use the same beef. Don’t expect to get any different meat unless in a very high-end restaurants or boutique ones. The main reason restaurant burger taste better is because of skill of the cook, who can grill your burger according to your demand; medium rare, is that what you want? However, use of sophisticated timed grill somewhat compensate for the skill of the cook as long as the cook follows the direction. This is where McDonald’s fails. McDonald’s stores its burger warming trays. 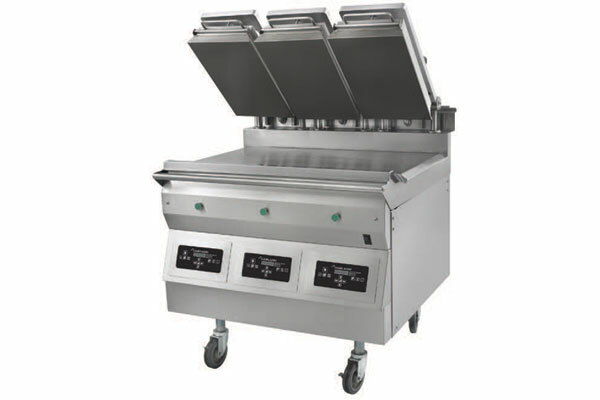 Burgers are kept in innovative universal holding cabinet hard anodized heating surface. In my view, keeping burger in these heat compartment long will result in slowly evaporating out of hot meat, leaving it dry. McDonald’s try to counterattack this dryness with a coat of thick mayo but all it does is coat the meat without providing any moisture to the burger meat. Five Guys cook their burgers to-order, it takes a few extra minutes, but result in juicy burgers. 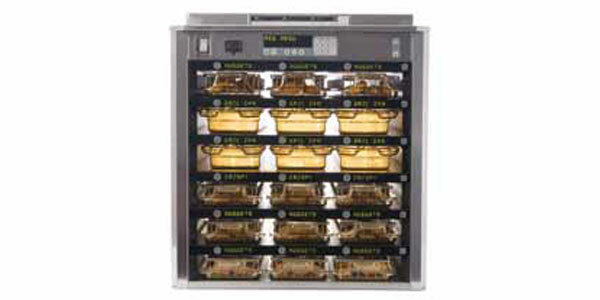 In McDonald’s, burgers are grilled in batches, assembled, and stored in the warming trays. During rush, burger may sell soon, but at slower times, they will sit there until sold .To maintain quality, there is a limit (30-minute limit) on how long they can stay in warming tray. But do an average worker care if burgers get out after 2 minutes or after 29th minute? This is a systematic failure on McDonald’s part, if they can cook their fries just few minutes before serving, why can’t they do with burger? It is estimated that due to their innovative double-sided grill, the total time to make McDonald’s burger, from the freezer to a customer, is about one and half minutes. Perhaps warming cabinet suits for dollar menu item, but we sure can wait a minute and half for better burger, especially those made with angus beef. 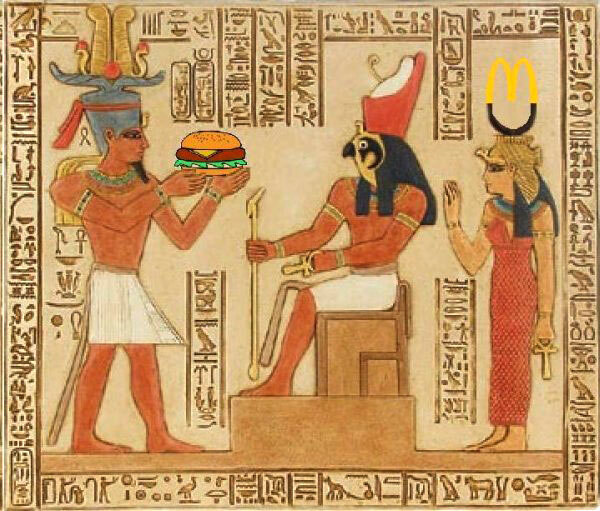 Images: Pharaoh Ptolemy by M. Licht, burger by B.Villegas, and other from promotional material of respected company.